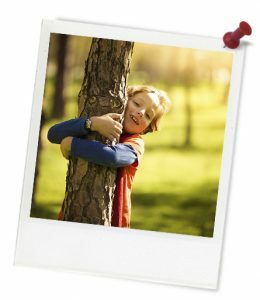 Quick summary: Children investigate what nature is and what parts of nature they can find at their service. Younger children are invited to handle a range of natural materials and to sort these materials in different ways. Older children will investigate the nature at their service and create an ABC book of nature, recording and categorising the nature they see through the alphabet. Faber-Castell have long understood the importance of creativity to all people, especially to young people. They are also continuously searching for environmentally friendly processes and high-quality materials to enhance children’s creative experience throughout every development phase. For more information about Faber-Castell, click here. Animals – Feathers, shells, fur or wool, leather, scales etc. Plants – Dry and green leaves or grass, seeds and seed pods (place any small items in tubs with sealed lids), bark, sticks etc. Water – Tubs of water that children can play with and/or spray bottle. Air – Paper fan for creating wind. Soil – Sand, dirt, mud and or clay. 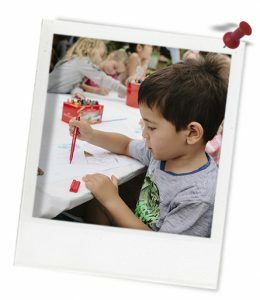 A range of art tools such as Jumbo Colour Pencils, Connector Paint Box, Jumbo Wax Crayons, Playsafe Broad Tip Colour Markers and Jumbo Connector Pens. Materials for creating a book. Including art tools such as Jumbo Colour Pencils, Connector Paint Box, Jumbo Wax Crayons, Playsafe Broad Tip Colour Markers and Jumbo Connector Pens. Content information about nature: While it’s easy to appreciate nature by looking at a photograph of some beautiful scenery, for many of us we need to see, feel, touch and hear nature to really experience it. Unfortunately, living in cities, towns and suburbs means that nature can feel a long way from the hustle and bustle of city living. But take some time to sit quietly in even the busiest of cities and you’ll probably start to see and hear nature all around you. It might just be the wind in your hair, the sun on your face, the buzz of a fly and the coo-coo of a pigeon, the waddle of a beetle, but these are still elements of nature. And chances are that in your yard you’ll find many, many more parts of nature than you might have thought.